Pet Boarding and Daycare Expo information coming soon! John Sturgess is the founder, owner and operator of RetrieveOne Advisors and ADOGO pet hotels. RetrieveOne Advisors works within the pet industry helping early-stage to established organizations implement strategic business solutions. ADOGO has four locations in the Twin Cities, with the fifth and sixth locations in the development stage. Sturgess graduated with a marketing degree from Southern Methodist University in Dallas, Texas and earned his MBA from the University of Minnesota’s Carlson School of Management and is on the Board of Can Do Canines, a non-profit company focused on raising service dogs for individuals with disabilities. Eric is an educator & coach for pet care facility owners around the world wanting to reach full business and staff potential. His industry leading staff education and management systems help make facilities “best in class” via a process called management automation. Mr. Beck holds a bachelor’s degree from Belmont University, is a thirty-one time international martial arts medalist (3rd Degree Black Belt), an accomplished jazz musician, and has served as a Specialist in the United States Army National Guard. Before launching Masterplan Pet Care, he was the international Director of Training for E-Myth Worldwide. He enjoys life with his family in beautiful Colorado. Robin Bennett is a Certified Professional Dog Trainer, author, speaker, and expert on dogs. She founded one of the largest dog training companies in Virginia and has been using her expertise in “reading dogs” to teach families how to train their pets as well as helping others in the pet care industry keep dogs safe for over 20 years. Robin’s first book, All About Dog Daycare is the number one reference on opening a dog daycare. She is also Co-author of Off-Leash Dog Play… A Complete Guide to Safety and Fun, and an extensive staff training program called, Knowing Dogs, which are the leading staff training resources for dog daycare and boarding facilities. Robin is currently co-founder of The Dog Gurus, the nation’s premier resource for dog care professionals. Susan Briggs is a Certified Professional Animal Care Manager, author, speaker, and pet business expert. As co-founder of The Dog Gurus, she brings over 18 years of experience in the pet industry with 12 years as co-owner and operator of a successful dog daycare, lodging, grooming and training business in Houston, Texas. In addition to being a co-author in publishing Off-Leash Dog Play and Knowing Dogs, Susan used her educational background in accounting and published Counting Noses: Accounting and Financial Management Guidelines for the Pet Services Industry. In 2015 Susan co-founded the Professional Animal Care Certification Council whose mission is to provide independent testing and certification for pet care professionals. Mel Forbes is a National Sanitation Consultant for Health Technology Professional Products Inc. Mel’s passion for teaching a simplified approach to Sanitation in Animal Care facilities has been the hallmark of his 10 year career. Working closely with Veterinary and Pet Boarding staff, Mel has been able to identify areas that are of major concern and implemented a leading brand of products and equipment that are simple for staff to use on a day to day schedule. Mel is proud to be part of the Health Technology team of consultants that has specialized in hospital hygiene, sanitation, laundry, floor care, Odor control and Turf maintenance since 1958. Teija Heikkilä founded National Kennel Sales & Appraisals in 2007 after 18 years of being an owner-operator of 2 full service pet care facilities. Having owned, and successfully sold her own facility, gave her the invaluable skills to understand facility operators, their businesses and how to best structure a confidential sale while maximizing profits. National Kennel Sales & Appraisals focuses strictly on the pet industry by listing, selling, and appraising dog boarding and daycare facilities nationwide. Principal Broker Teija Heikkila has been recognized for her accomplishments by several national organizations, including Business Woman of the Year by National Association of Professional Women and Industry Expert by Business Brokerage Press. Dana grew up in Bucks County, PA before attending LaSalle University in Philadelphia and majoring in biology. She also received a master’s degree in Laboratory Animal Medicine from Drexel University and worked in the laboratory animal medicine field before completing her veterinary degree at the University of Pennsylvania. Dana joined HousePaws Mobile Veterinary Service in June 2013. Her professional interests include dentistry, pocket pets, preventative medicine, and internal medicine. She thoroughly enjoys participating in community events and has taken part in numerous programs educating pet owners on topics such as pet first aid and CPR, early disease prevention, animal dental health, and animal nutrition. Since 1989, Laura Laaman, president of Outstanding Pet Care, has been providing world-class consulting and education for the pet care industry. Laura's effective strategies and techniques are proven to boost revenues while empowering pet care facilities and veterinary practices to deliver even greater pet care. Laura's road to sales success started when she was just 16. She quickly went on to break numerous national sales records. Due to Laura's success, several companies studied her and then modeled their training program around her techniques. Laura became a published author in 1996 and top selling business author in 2002. She is an award-winning speaker, trainer and author. Al Locker is president of Turnkey, Inc. Turnkey, Inc. is a 56-year old design/build construction company specializing in design and consulting for the pet industry. Turnkey has designed over 67 pet care facilities, including veterinary hospitals around the U.S., and built fifteen in the Houston area. Designs range from ground-up construction to lease space build-out/tenant improvements. Al & his wife, Suzanne, have owned ABC Pet Resort in Houston since 1991. ABC Pet Resort is a multi-service pet care center located in north Houston. Services offered are dog daycare, pet styling, obedience training, a retail boutique, and overnight lodging for dogs and cats. Suzanne has owned and operated ABC since 1991. Throughout her career, Suzanne has been a seminar speaker for various local and national conferences covering a variety of topics. In 2007, she and her husband, Al, were the keynote speakers for AUSboard 2007, Australia’s national conference for the pet boarding industry held in Cairns, Australia. The couple consults with start-up veterinary clinics and pet centers, and her husband has designed over 40 centers across the U. S.
As principal of FMD, with more than 36 years of experience, Mark believes that every project is all about helping you. He is motivated to continue to grow FMD’s Animal Care Studio and wants to educate each client and help them get started, while meeting their design, budget and schedule expectations. 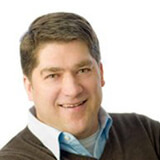 Mark has done podcasts, webinars with banks, lectures to universities and private companies, all to help the clients. He values the importance of personal, professional relationships with all of FMD’s clients and collaborative partners. The ultimate goal is to have a client that is as satisfied using their facility as when they first started to dream of their new project. Alex McKinnon is an accomplished brand builder via leadership in innovation and teamwork with 30 years of increasing responsibility in general management, brand marketing and product management with senior leadership roles with Kinn, Gillette, Braun, Bell Sports, and Sara Lee, based in USA, Spain, Germany, and Scandinavia. He also has global experience in strategy, brand building, product design & development, and strategic alliances. Alex has his MBA from Northwestern University’s Kellogg Graduate School of Management and a BA from Duke University. His passions include family, animals, working out, international travel, classical and jazz music, investing, and wine. Alex is fluent in Spanish and proficient in German and is an active supporter of non-profits. Jamie Migdal, CPDT-KA, has been working with dogs and their people, and innovating within the pet industry for 25 years. Having successfully built three national pet service companies and worked hands-on with more than 20,000 dogs and 100,000 clients, Jamie is an expert in all aspects of the pet industry, including education, technology, business development, sales, marketing, and management. In 2017, Jamie was named as a Pet Age ICON Award Recipient and received the Women Tech Founders Midwest Women in Tech award. Her fourth and current company, FetchFind, provides staff training and other business solutions to pet care service companies around the globe, and was selected as one of the top five most innovative pet care companies via the Purina Pet Care Innovation Prize. As a Director of Marketing and Industry Consultant at Market Hardware, Alain has nearly 10 years of experience in speaking and writing about the pet care industry. His marketing makeovers have helped countless pet care businesses transition from traditional “offline” marketing strategies to more modern-day digital strategies. Market Hardware has helped pet care professionals compete on the Internet for close to 15 years. For more information, visit markethardware.com, email Alain at aparcan@markethardware.com or call 888-381-6925. Steven is the Co-Founder and CEO of K-9 Resorts Franchising, LLC. A nationally renowned pet care expert, he has been featured on Forbes.com, CNN Money, Fox Business, The Wall Street Journal, CNBC, NJ BIZ, and Entrepreneur.com. Steven is an accomplished professional and small business owner with over 16 years of comprehensive management experience, starting at the age of fourteen, he is a Certified Pet Care Technician and the former regional director of the National Association of Professional Pet Sitters. Steven’s outstanding communication talents and proven ability to build and lead highly efficient teams has gained him recognition by the Mayor of Fanwood, New Jersey, The Scotch Plains Police Department, and the Unites States Congress for outstanding and invaluable service to the community. After more than 25 years as a dog trainer, Colleen Pelar has honed a unique perspective filled with humor and practical, easy-to-implement tips for success. She’s the author of three books, Living with Kids and Dogs … Without Losing Your Mind, Kids & Dogs: A Professional’s Guide to Helping Families, and Puppy Training for Kids. She’s also a trained resilience instructor who helps animal-care professionals feel valued, supported, and energized through programs designed to combat burnout and compassion fatigue. Chris Quinlan grew up in a family business that has specialized in hospital hygiene, sanitation, laundry, and floor care since 1958. 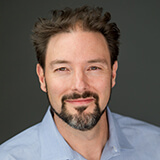 While earning a Bachelor of Science degree from California Polytechnic University, Chris also received extensive training in the areas of chemistry, microbiology, hospital infection control principles and practices, institutional hygiene, environmental sanitation, odor control, floor care, and OSHA compliance. Today Chris is president of Health Technology Professional Products, a leading brand in the pet care industry, and owns the Riverwalk Pet Resort with his wife Gia. Chris has been a speaker on sanitation for the Pet Services Association national meeting, as well as speaking on hospital hygiene and sanitation at several veterinary schools and associations. A native of Indiana, Dr Stahl’s passion for animals was evident at an early age. Upon completion of an accelerated biology and veterinary sciences program, Madeleine received her doctorate of veterinary medicine from Purdue University College of Veterinary Medicine. After graduation, she practiced small animal medicine in New Jersey and Virginia. Over the following 25 years, she has held several positions in sales, training and technical services within the animal health industry. Dr. Stahl is currently an Associate Director of Scientific Marketing Affairs for Merck Animal Health with a focus on infectious disease and preventative care. Garret Tadlock, named “Top 40 under 40” for 2017, came to the pet industry with a proven success record in high tech consulting. He discovered an opportunity to marry his experience and passion when he started PawLoyalty Software. During the last 10 years, he has helped over a thousand pet care facilities leverage technology to radically grow their business, delight customers and ensure they are providing the highest quality of care for pets. Greg Taylor is the CEO of the Mason Company, the leading designer and manufacturer of animal enclosures for humane societies, animal control, pet care, veterinarians and other animal facilities. Mason was founded in 1892, and has developed the widest product line in the industry, many with innovative designs and features, and has 9 patents or patents-pending, including the Sani-Slope™ and Silvis Seal™. Mason sells around the world, has installations in over 30 countries, and has worked with many of the most successful shelters and animal control facilities to develop animal housing unique to their facility’s needs. Greg is a frequent contributor to animal care periodicals and speaker at conferences. Greg earned a BA from Denison University and a MBA from the University of Chicago. Annette Uda is the founder of PetAirapy, the animal care industry’s leading manufacturer of UV surface and air sanitation equipment. Annette has a passion for animal health and educating animal care providers on reliable, non-toxic ways to create clean, healthy environments for your animal clients and your staff that are protected from airborne pathogens, infectious disease, and noxious VOCs. In 2018, PetAirapy launched FreshAirapy, its natural, non-toxic line of products for targeted, immediate odor control specifically for the animal care industry. Laurie Wagner, IACP CDT/PDTI/CDTA, an authority on socializing and dog rehabilitation, is the owner of Doggie Fun and Fitness in Kingston Massachusetts, and has over 18 years experience as a dog care professional. In 2016 she developed the Quiet Dog Daycare, a program that teaches daycare professionals kind, yet effective handling skills based on body language that allows most dogs to thrive in the daycare environment.